Home > Blog > Is there any legal action I can take to hold a dishonest reviewer accountable for the damage to my business’s reputation and financial performance? Is there any legal action I can take to hold a dishonest reviewer accountable for the damage to my business’s reputation and financial performance? Q: I am the owner of a small diner. I recently became aware that someone had posted a terrible review of my restaurant on the internet. I believe that this review may have adversely affected my business. Is there any legal action I can take to hold the dishonest reviewer accountable for the damage to my business’s reputation and financial performance? Should I Try for a Defamation Claim if My Business Has Suffered Because of Bad Online Reviews? If you feel your business has been defamed, you should contact an experienced business lawyer to help you determine if you have a good case and assist you with your claim. A: In the age of social media in which we currently live, customers have more opportunities than ever to share their thoughts and opinions about your small business. Likewise, more customers than ever before will get their first impression about you and your business from another customer’s informal thoughts and opinions. These off-the-cuff reviews come, for the most part, without any consequence at all to the reviewer. The lack of accountability gives the reviewer the opportunity to either be brutally honest or to twist the facts if it benefits them. For example, there is little to stop a competitor from leaving false comments about your business online to push potential customers to their business. When customers try to decide whether to give their dollars to you or to your competitor, the initial step in their routine is to seek out these informal comments. Your business can suffer real damage from a negative review, especially an untruthful negative review. What can you do to defend yourself from dishonest reviews of your business? Businesses, like people, can be defamed. Furthermore, businesses, like people, can sue for defamation. “Business Defamation” occurs when (1) a person makes a false statement of fact about the business; (2) the person publishes those false statements to a third party without privilege; (3) the person was at least negligent in making the publication; and (4) the business suffered some damage from the publication. This blog will focus on the two most pressing questions when dealing with comments made about your business on social media: whether the comments were false statements of fact and whether your business suffered damage as a result of the negative comments. The first hurdle to successfully litigating a claim for business defamation is showing that the person made false statements of fact rather than just negative opinions. The First Amendment of the Constitution allows people to say bad things about your business, but it does not allow people to lie about your business in a way that harms its reputation. For example, a comment on social media that the food at your restaurant tasted terrible is a negative opinion. However, a comment on social media that your restaurant has rats is a false statement of fact; in this case, the publisher could potentially be liable for making defamatory comments if the other elements are satisfied. The other major obstacle to successfully bringing a defamation claim is to prove that your business suffered some damage as a result of the false statements of fact. As you can imagine, it can be very difficult to prove that, as a direct result of a person’s false, negative comments, people decided not to support your business. However, you may be able to collect evidence that the comment had a significant number of views and that your business generated far less income immediately after the comment was posted. If your business has suffered damage as a result of negative comments online, you may have a claim for defamation. Recovery under this claim can be difficult, but with the right facts and evidence, there is a chance you could hold the commenter accountable for his bad faith review in the form of a judgment or a settlement. 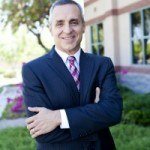 Contact your Arizona business lawyer to assist you with a defamation claim today. 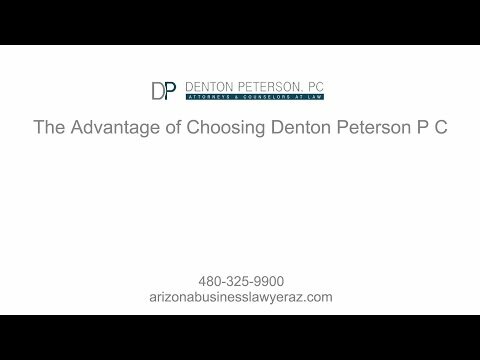 Denton Peterson has the experience and the knowledge to assist you in all matters business and employment law. How can I minimize my business’s exposure to employment lawsuits? My Partner is Stealing Money/Ruining Our Business, Now What?